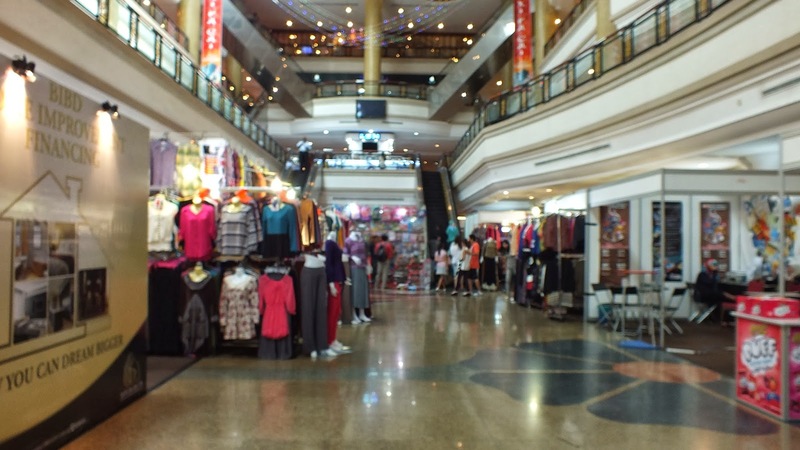 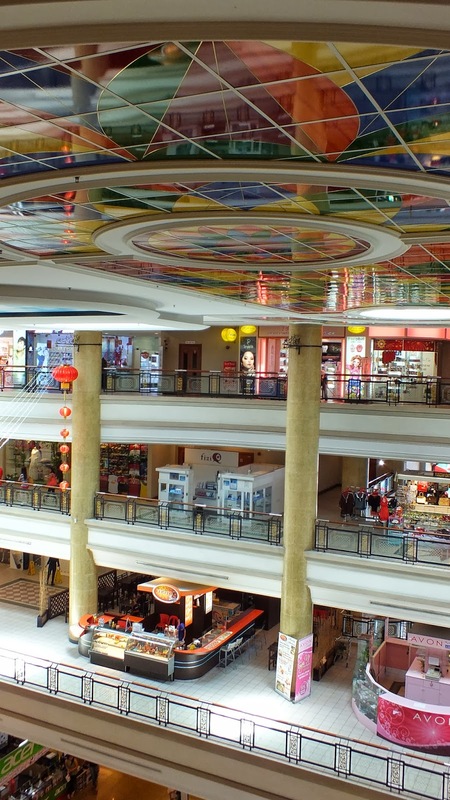 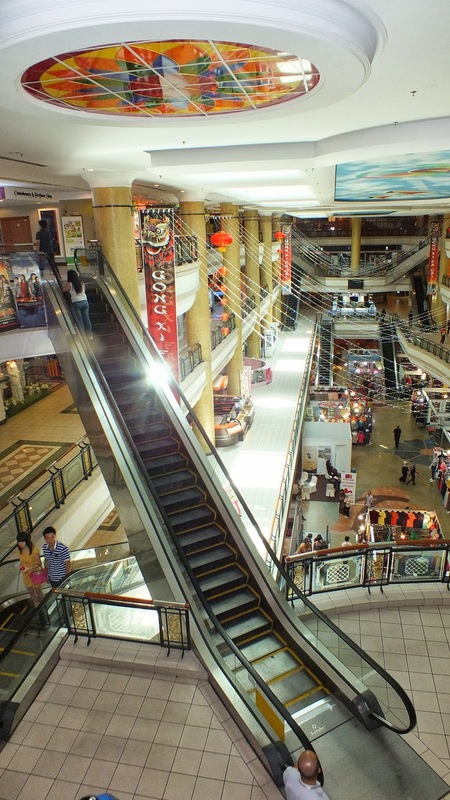 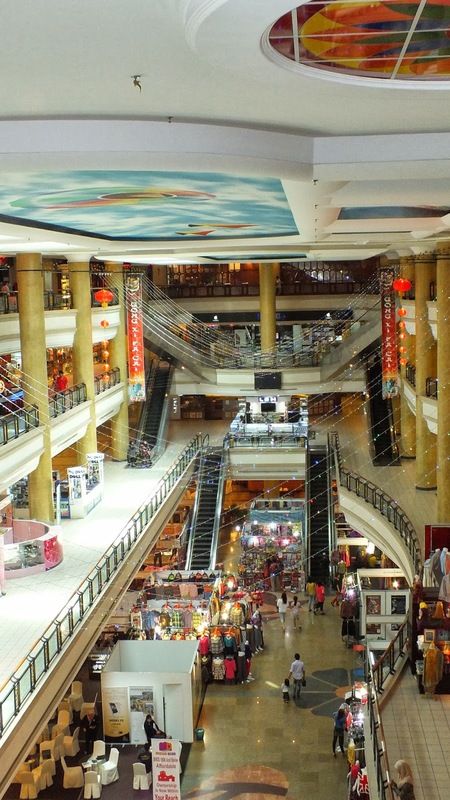 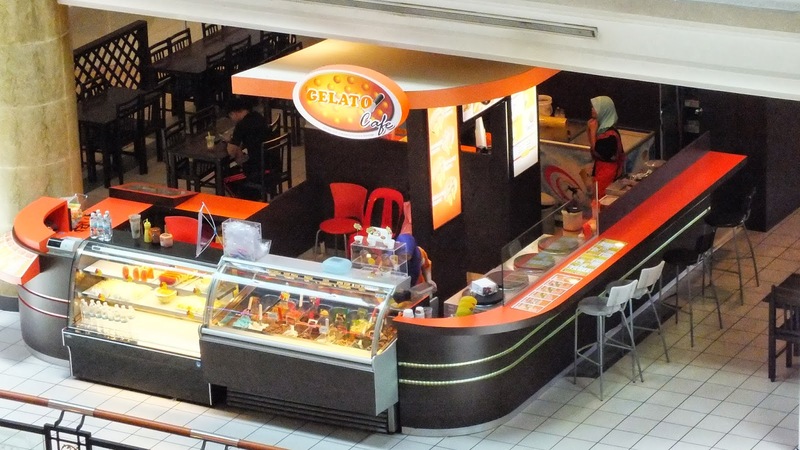 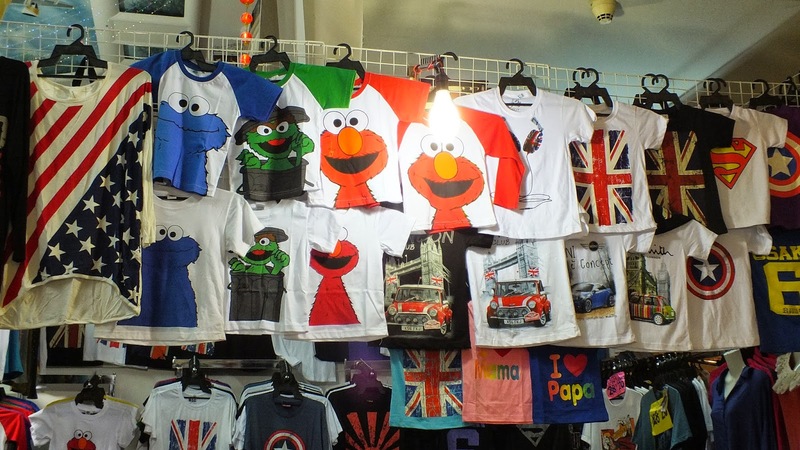 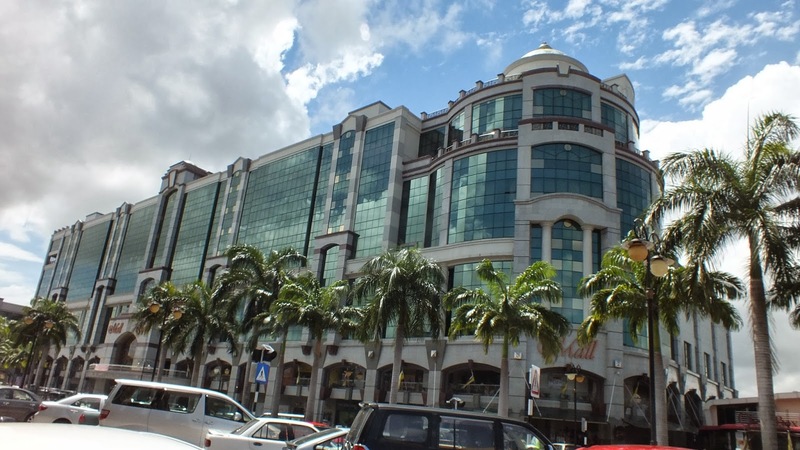 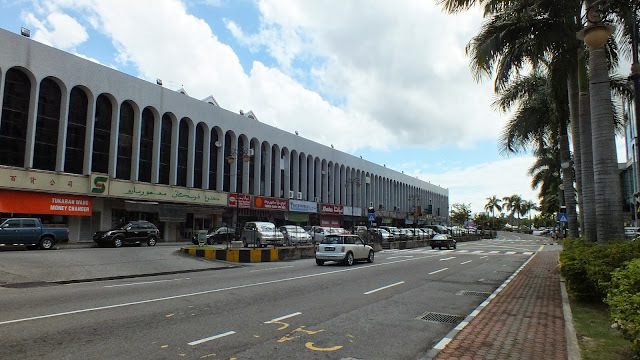 14.02.2013 - The Mall is located at the busy business and entertainment center of Gadong district. 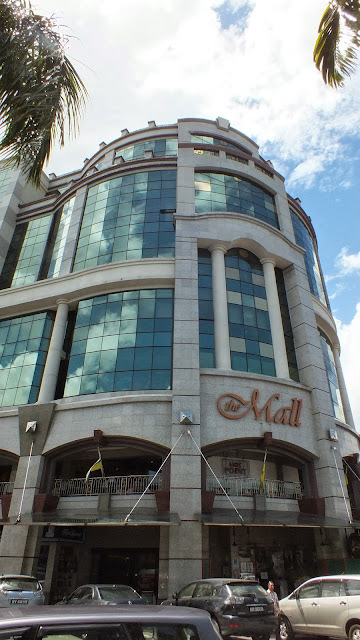 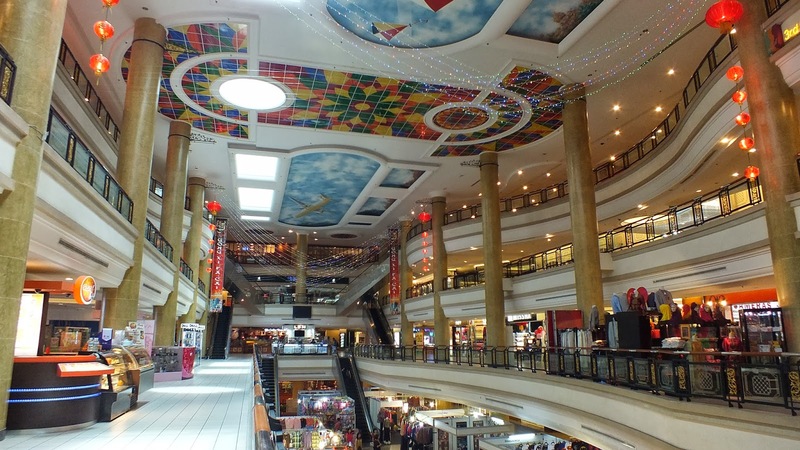 The Mall is a 3 storey shopping centre consist 2 large parking basement. It is the largest shopping mall in Gadong area after Yayasan Sultan Hj Hassanal Bolkiah Shopping Mall in the capital of Bandar Seri Begawan. 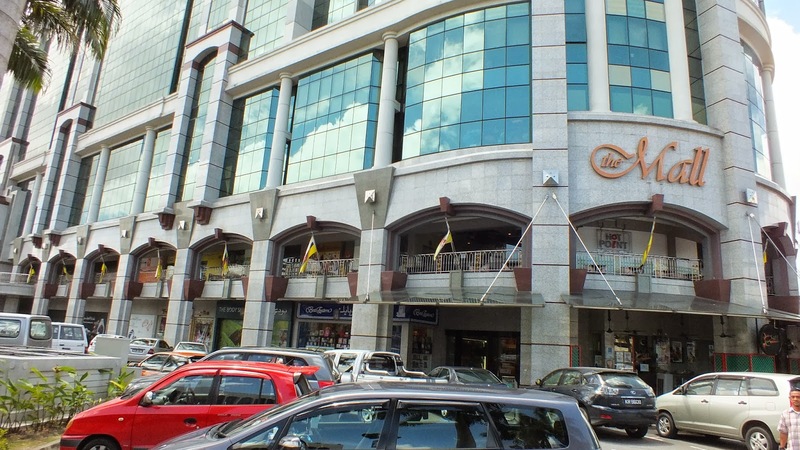 The Rizqun International Hotel is located at The Mall. 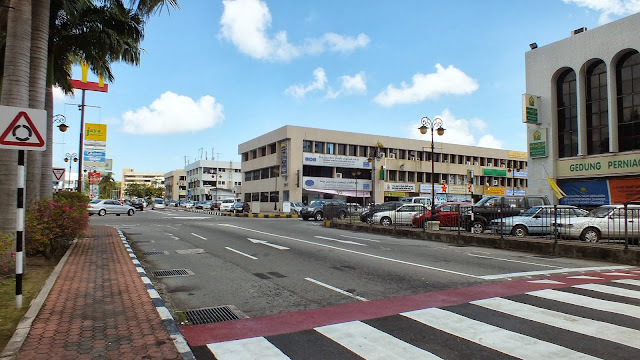 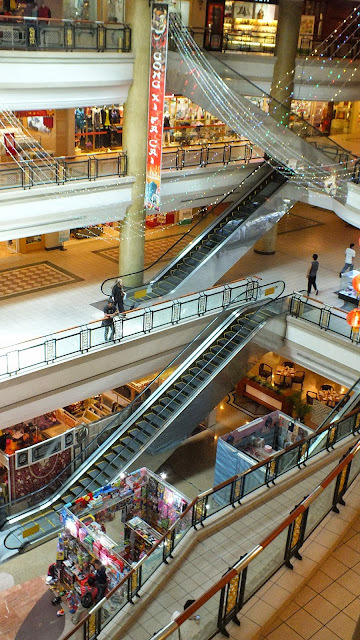 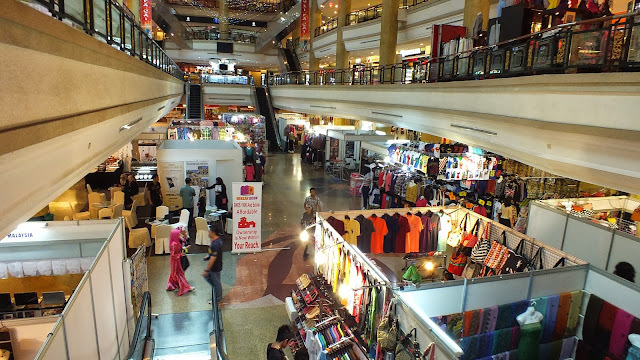 You can find an array of shops here in the 1 Utama department store and supermarket in basement flr, all kinds of small to large retail shops selling clothes & shoes, electrical product, jewelry etc. 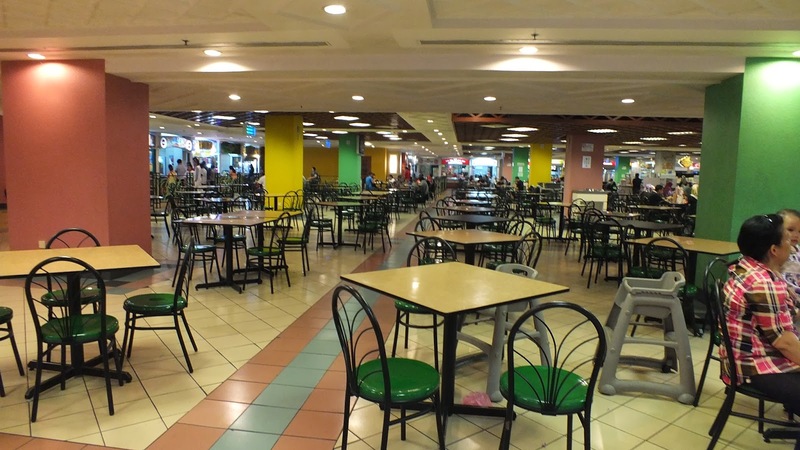 There are also pizza hut, kfc & Rizquen Restaurant of The Mall Hotel is available at ground flr & and many kiosks mushrooming around every floors too. 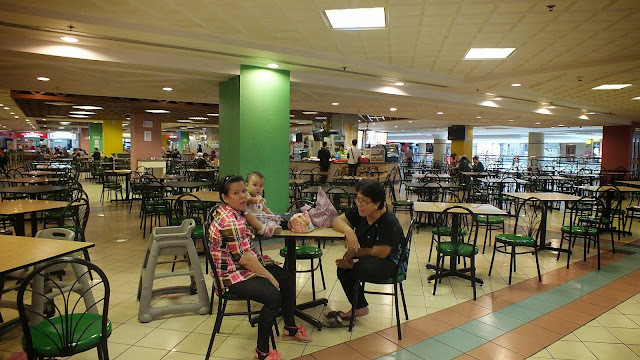 There are several money changers and Guardian located at grd flr. 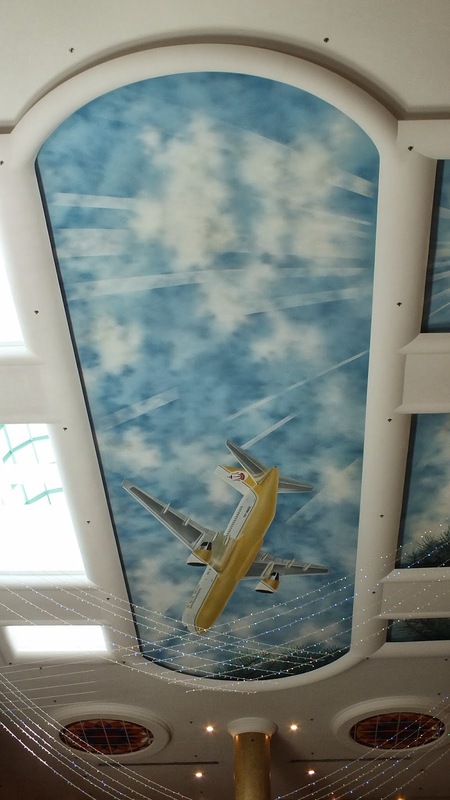 There is a Cinema on top floor next to a large food court selling all kinds of international food, you can find Indonesian food, Japanese food, chinese, western and malay food or economy rice they are all available in every stalls and a fast-food chain too. The Arcade Funland is located at top flr next to foodcourt too, is a good place for toddlers / kids & parents to have some great fun after food. Atrium always got something happening. 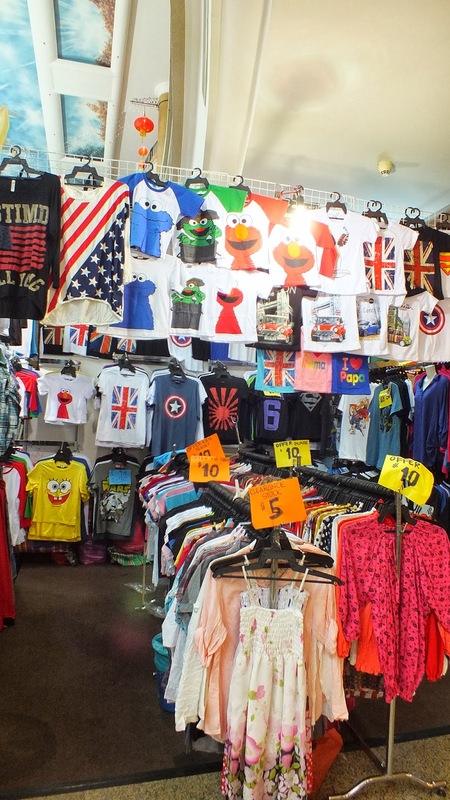 Some said like pasar! some said is good many cheap things to buy, some don't really mind. 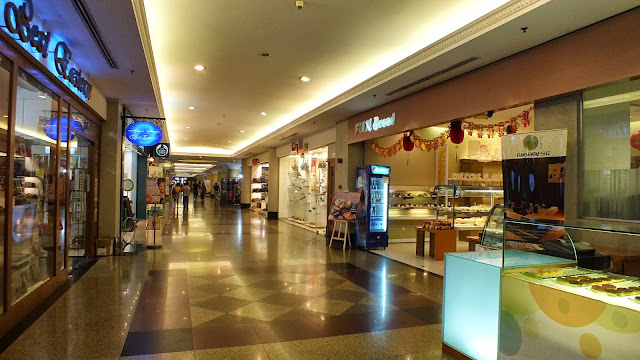 Well it is sad sometimes to see some other retail store located up at the building getting less customers and paying expensive rental as customers enter the Mall getting all their attention to the kiosk at ground flr like you could see it almost every time bazaar sell is available. There's always something happening at The Mall, is a great place to hunt for things you want to bring home as souvenirs and food etc and to cool down yourself on a hot sunny day outside. There is no way that i've seen this Atrium can be empty for long. 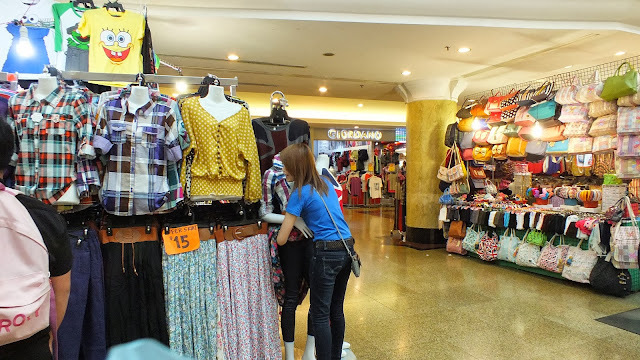 Maybe go quiet for a week or few days and this small retail kiosk will start mushrooming and kicking off again "Bazaar Sale" and occupied all the space.